A man has died in a crash between a car and a lorry in Donington on Bain. 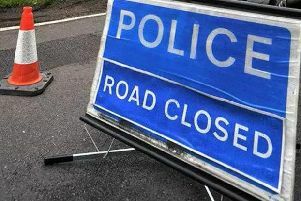 Emergency services were called to the B1225, High Street, Donnington on Bain at just after 3pm yesterday (Wednesday 6th June) where a black Vauxhall Corsa had been in collision with a white Volvo HGV. The driver of the Corsa, a man in his 60s from the Hull area was seriously injured and airlifted to Hull Royal Infirmary where, he died yesterday evening. Anyone who was in the area of High Street, Donnington on Bain either before or after about 3pm yesterday (Wednesday) and saw either vehicle before the collision or saw the collision itself is asked to contact 101 quoting incident number 236 of 6th June.